activities, but rather seeks to offer the income from its investments to thoughtful organizations. 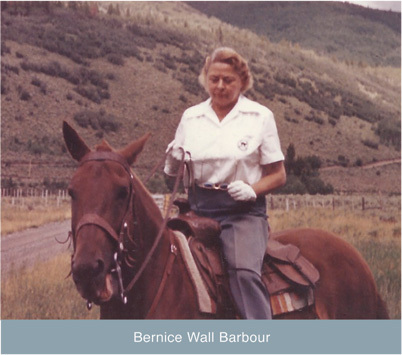 The Bernice Barbour Foundation, a private tax-exempt foundation, was established in 1986 by the late Bernice Wall Barbour, a lifelong resident of New Jersey. Through her entire life, she devoted much of her thought, energy and resources toward making the lives of animals happier and healthier. Animals and their well-being were of such importance to her that she created the foundation to continue her life's work in perpetuity. During her adult life a day never passed without the animal kingdom receiving some help from Bernice. From the elk in the Rockies of Colorado who needed hay in a severe winter, to the birds and squirrels in the yard, her dedicated hands on approach to animal welfare was a wonderful thing to witness and a tradition the foundation she founded strives to continue in her memory. 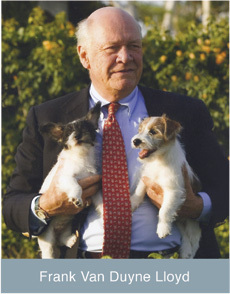 Founding President Frank Van Duyne Lloyd shared his friend Bernice Barbour's love for animals, and encouraged her to create the foundation in her name to support them. A distinguished attorney Frank will be remembered for his kindness, generous spirit, his professionalism, and charitable works and deeds that benefited many people, organizations, and animals. "Que me amat, amet et canem meum"
"Who loves me will love my dog also"